There was definitely a fever among those that attended the opening of Garden of Feverish Imaginings! Now come learn about how it all happened. Mayer will discuss his work past and present, and share some artists that he has been taking inspiration from- Arshile Gorky, Hieronymus Bosch, and Dr. Seuss. Mayer will also speak directly about the installation, how he decided to work in wire, and Mattise as an inspiration for the cut-outs. 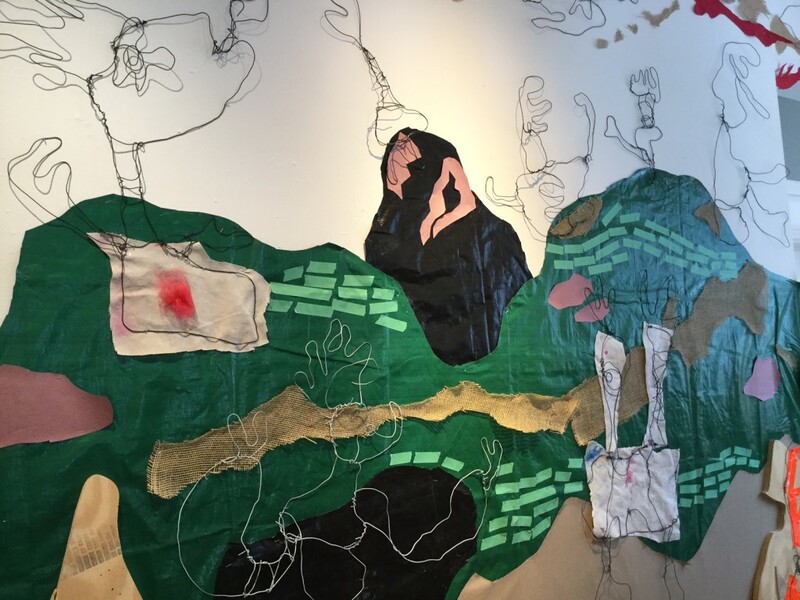 Artist Gary Mayer will speak about his installation, Garden of Feverish Imaginings, at the Roxbury Arts Group on Saturday, February 20 at 2 pm. The installation is up through March 5th. The Walt Meade Gallery at the Roxbury Arts Group is open Tuesday – Saturday, 10 – 3 and by appointment.